Thabiti Lewis teaches in the English department at WSUV. 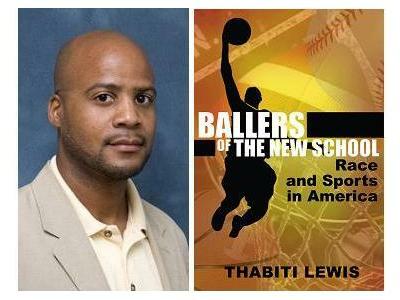 He is the author of Ballers of the New School: Race, Sport and American Culture . Lewis also teaches courses in the areas of African American Studies and American Studies. While he has a strong interest in race and American sport culture, a primary focus is the author Toni Cade Bambara. Additionally, he is interested in representations of Black masculinity in popular culture and African American literature. Lewis has also written for newspapers and magazines, and delivered numerous radio commentaries. He has lectured widely on these topics.